Auto accidents can happen inevitably. What comes next after ensuring that everyone is safe is taking care of your vehicle. Car insurance comes in handy especially when it comes to expenses, but this does not spare you from going to an auto repair shop and getting a car repair estimate. This may seem like a hassle especially if it is your first time. Don’t worry – we’ve listed down quite a few common questions to help you understand more about car repair estimates. What is a Car Repair Estimate? This is an inspection done by repair shops to determine the price or amount needed in order to return your car into good condition. It is also used for your claim in your car insurance. Where should I get this Done? You can get an estimate from different repair shops and compare quality and prices before determining where to bring your vehicle. It is actually recommended to have estimates from at least three auto repair shops. What is in a Car Repair Estimate? It is important to know the breakdown of the estimate price given to you. This should include all the parts needed and its price, labor fee, and miscellaneous fee for shop supplies and the like. It would also include flat fees and a summary. What should you consider when looking at Estimates? The length of time it takes to finish repairing your vehicle is an important factor especially when you look into the labor charges. Prices may vary greatly; however, look at reviews and the quality of a shop’s work to justify these fees. Also choose a shop where the location is convenient for you. What if you do not understand what is in your Estimate? 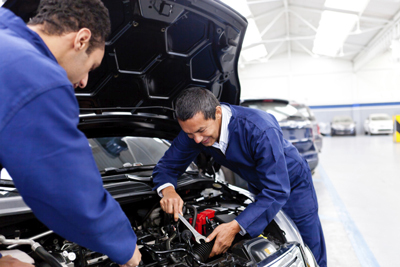 Feel free to discuss with a personnel from the car repair shop the process and everything they will use for your car. Auto parts may become difficult to understand especially when it comes to their use, so it is better to know what all of it are for. If you are wondering about the price variation, this would be the chance to figure out the differences. Recovering from a car accident may take up a lot of your time and energy, so the best you can do is help yourself understand the situation better. Choose an auto repair shop that will take care of you and handle everything from start to finish. When you bring in your car, you should be worry-free as you get the value for what you or your insurance company is paying for. Previous story Is Monitoring Children from A Young Age Really Necessary?